Why homeowners want home warranties. A map to choosing a home warranty. The various deciding factors that industry professionals use to choose a warranty company. Home warranties should be considered a major part of any real estate transaction. Many sellers purchase home warranty coverage to sell their home faster and for more money. Most buyers like having home warranty coverage as well. It helps them to feel secure knowing that if something goes wrong with the home’s systems and appliances, the home warranty company will repair or replace the problem for a smaller fee than retail price. A majority of real estate agents enjoy the service and reassurance that comes with offering a home warranty on home purchases. Eric Trautmann from Keller Williams Realty said he pays for a home warranty on every home he sells or lists. With hundreds of home warranty companies, though, how can a buyer, seller or real estate agent be sure that the home warranty company they’re choosing is the best? We looked to the expert advice of real estate professionals and asked how they chose the best home warranty companies for their home sales. Many real estate agents cited great customer service as a way to pick the best home warranty coverage for a house sale. Sarah O’Donnell, Realtor at F.C. Tucker Company, said you can tell the type of home warranty service a company provides by looking at past experiences of claims handled. For individuals who have never had past experience with a home warranty company, Shannon Thomas, a real estate agent at Selling Indy Metro, said you should purchase from a company that has service reps who will do whatever it takes to make things right for the homeowner. Having a customer service representative who knows how much a real estate agent cares about their clients is an important focal point for most real estate agents. “How they treat my clients is what I base my choice on,” said Debbie Miller-Rainforth, broker at Summa Real Estate Associates. 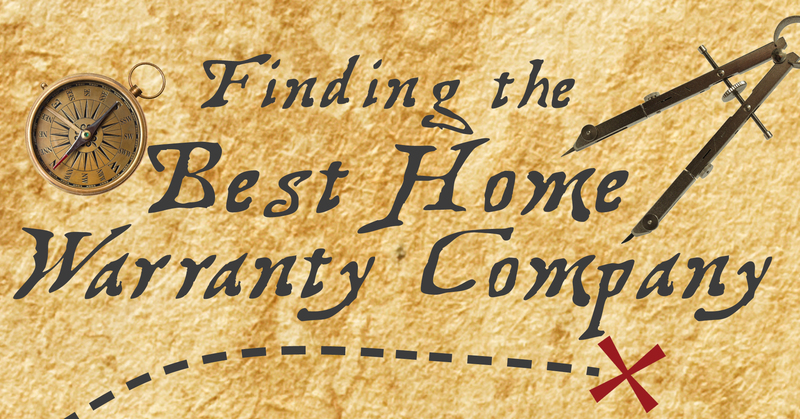 Another way to find the best home warranty companies is to research home warranty reviews. Of course, not all review sites are the same. Sites such as Yelp usually ask for money to boost reviews to be seen by homeowners. Make sure you’re reading reviews on trusted and nonprofit sites such as the Better Business Bureau or Consumer Affairs. Another major point that most real estate agents look for is the home warranty coverage versus the price. Many real estate agents know the importance of understanding what the best home warranty coverage looks like before purchasing because sometimes the price of the plan doesn’t match what’s covered. Sherine Grubbs Beltran, a real estate agent at Keller Williams Realty, said that though customer service is the main reason she purchases with her favorite home warranty company, having a good amount of home’s systems and appliances coverage is also important. She said she uses her favorite home warranty on her own home as well. “(There’s) nothing worse than paying for a warranty that doesn’t pay out on claims,” she said. Other real estate agents echoed this same statement, saying if the home warranty coverage doesn’t pay for much, then it won’t be worth the price.